But the Tallahassee mayor did get a favorable polling result recently. Andrew Gillum's financial disclosure form doesn't look like the paperwork of his opponents in the Florida governor's race. Compared to former Miami Beach Mayor Philip Levine and former Congresswoman Gwen Graham, Gillum's got a couple of digits missing from the "net worth" area. The Tallahassee Mayor and son of a bus driver and construction worker often speaks about how he's the only non-millionaire in the race for governor. 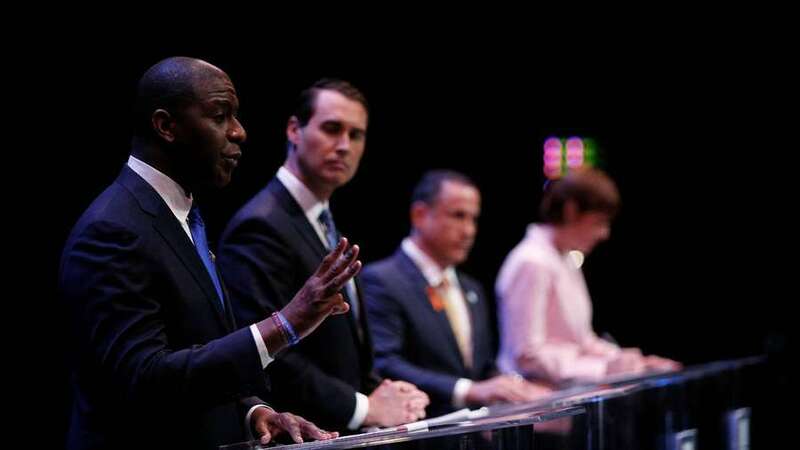 The financial disclosures, on which qualified Florida candidates must disclose income, assets and liabilities, give a look at just how stark the wealth disparity is in the Florida governor's race. The forms are also a reminder the difficulty of running an expensive statewide campaign without significant contribution from a candidate's own bank account. Gov. Rick Scott famously poured tens of millions of his own dollars into his election and re-election efforts. King, Graham and Levine have each donated sizable figures to their campaigns this cycle. And Greene Tuesday announced he's launching a multimillion dollar ad campaign of his own. King, Graham and Levine have also begun airing television ads. Gillum, who has struggled to fundraise outside of a few large donations from mega-donors, has yet to hit the airwaves. With no personal fortune to draw from, it will be much harder for Gillum to blast his message across Florida's spread-out media markets. The poll — which was connected to CATECOMM, a group that work for the Gillum campaign — is something of an outlier. Most recent surveys have shown Levine in the lead. Still, it's an encouraging result for Gillum. Check out Gillum's financial disclosure form here.